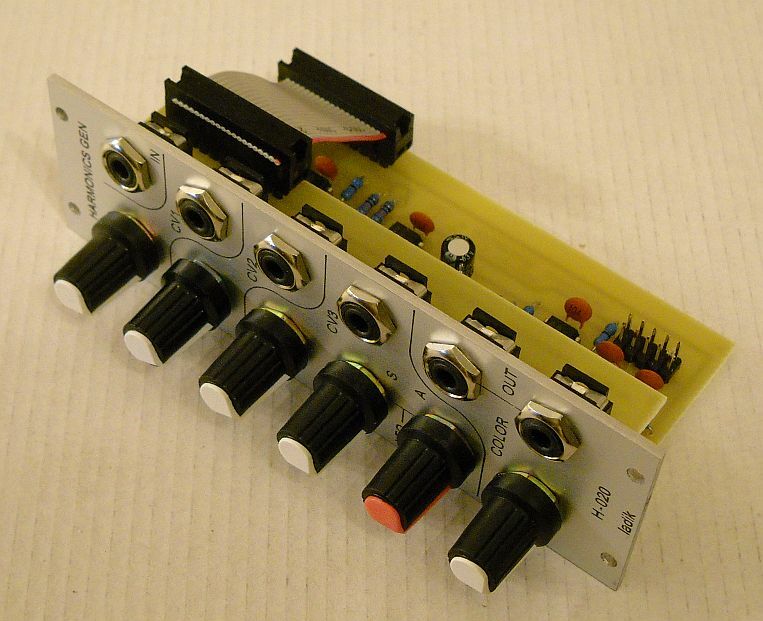 H-020 Harmonics generator with LFO for eurorack / Doepfer A100 system. Output is angular stepped wave with rich harmonics content. 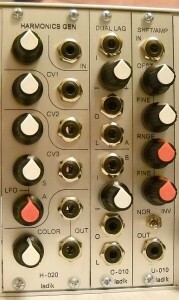 Best for external mixing with original input signal. 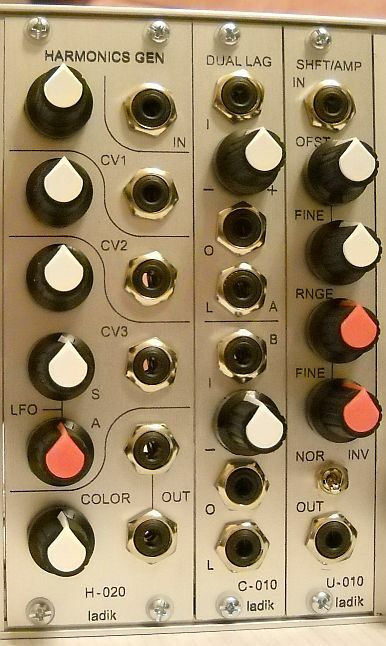 Internal LFO can be used for third comparator and then sounds like PWM or simple 1-stage wave animator. Color knob for “rounding” sharp edges = milder sound.